(LARGE PRINT EDITION) 1934. This manual is limited to such details in the life of the Mormon prophet as serve to bring out his leadership. 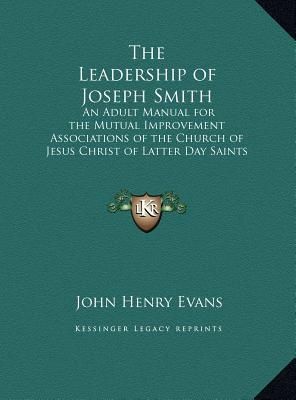 Contents: The Leadership of Joseph Smith; The Adult Department; Appreciation Courses; Personal Experiences; and Reading Course Book. See other titles by this author available from Kessinger Publishing.